Even the smallest companies need a dependable system for backing up business-critical files. But that doesn’t mean these businesses need to invest in the most expensive data backup for SMBs on the market. Datto has two great BDR systems that enable small- to medium-sized businesses to obtain enterprise-grade data protection without an enterprise price tag: the Alto 3 and all-Flash SIRIS X series. In this post, we take a closer look at these two systems and why they’re a good fit for smaller companies. It’s no secret that backing up data is important – especially at a time when IT downtime can cost small businesses an average of $8,500 per minute. Threats to your data are everywhere: ransomware, natural disasters, hardware failure, human error … the list goes on and on. But that’s only half the problem. To combat these threats, small businesses are faced with the dilemma of finding the right data backup platform for their needs—without blowing their IT budgets. (“What IT budget? ?” some of you will ask.) SMBs can’t afford to sacrifice data protection, but they also can’t afford the high-end BC/DR infrastructure deployed by the largest companies in the world. The ALTO 3 offers hybrid cloud technology, meaning that data is backed up to an on-site BDR and mirrored to the Datto Cloud. And it equips small businesses with most of the features of Datto’s larger solution, the SIRIS 3. Affordability: The ALTO 3 has a low cost of entry, making it accessible for even the smallest businesses. Through a managed-service provider (MSP), small businesses have the option of paying for the system in monthly increments—without a big investment up front. All-in-one: The system is fully featured, allowing SMBs to back up any infrastructure (physical or virtual) running on Windows, Mac, or Linux. Lost files can be recovered quickly from the on-site BDR, or entire lost servers can be spun up in minutes from the Datto cloud. Big protection in a small package: The ALTO 3 is a small plug-and-play device that can sit right on a desktop. Yet, it backs up 2 TB of data (up to 4 servers), recoverable on a granular level from multiple points of time and replicated to the cloud, allowing you to restore any backup as a virtual machine off-site. Complete infrastructure backup: Not just files and folders. Unlike less powerful data backup software, the ALTO 3 backs up your entire system. So if a ransomware infection kills Windows and locks up your business-critical applications, you can restore everything as a virtual machine, in addition to being able to restore individual files. Instant full server restore: With the ALTO 3, SMBs can restore their server instantly by using Datto’s advanced bare-metal restore capability, or by virtualizing the server instantly in the Datto cloud. Automatic ransomware protection: The ALTO 3 actively monitors for signs of a ransomware infection. Administrators are alerted automatically, so they can roll back to moments before the attacks, removing the threat and eliminating the need to pay the ransom. The SIRIS 3 X1 is a step up from the ALTO 3. It offers the same feature set as the ALTO 3 (and then some), combined with the benefit of having all-flash, solid-state drives. (The ALTO 3 has a hybrid drive, which uses a combo of flash and spinning disk). Speed is the name of the game for the SIRIS X. In terms of functionality, it’s actually on par with Datto’s traditional SIRIS 3 line, offering the same full-featured hybrid cloud data protection. But where the X series really excels is the ultra-fast SSD, which means faster backups and faster recoveries. Plus, the X series come in two form factors to fit the needs of all SMBs: a compact desktop version and a Professional rackmount version. Cost-efficient: Like the ALTO 3, the SIRIS X line is designed for SMBs in both functionality and cost efficiency. The SIRIS X1, for example, is Datto’s entry point for small businesses with single-license needs. It’s ideal for smaller companies with 1 server, who want enterprise-grade protection at affordable pricing. 360-degree protection: SIRIS X1 is a complete, all-in-one BC/DR solution that goes even further than the ALTO 3 to provide business continuity for local, virtual, and Cloud environments. Fast all-flash storage: I repeat: the SIRIS X series offers blazingly quick backups and recoveries, thanks to the all-flash SSD. While Datto’s hybrid HHD-SSD drives are quick too, the all-flash ensures even greater performance and reliability. On-site + cloud virtualization: The SIRIS X1 gives you two options for virtualizing your backup: in the cloud (like the ALTO 3) and on-site (exclusive to SIRIS). The added option of on-site virtualization is great for businesses who require the fastest possible restore. The cloud provides added assurance in case of an on-site catastrophe, but the on-site virtualization will ensure the quickest access to your data and the best performance for your virtual environment. Numerous recovery options: In addition to virtualization on-site and in the cloud, the SIRIS X1 offers multiple additional ways to recover your data. Datto’s Backup Insights makes it easy to recover lost files and folders with just a few clicks. Or, you can perform a bare-metal restore, a diskless restore, or a backup image export, among other methods. More recovery options = more options for getting your critical data back when every second counts. Sizes for larger SMBs: The X1 is the entry point, but as we mentioned above, the X series is a full line of all-flash BDR systems. Rackmount versions offer up to 12 TB of all-Flash storage for businesses with larger data needs. End-to-end encryption: The SIRIS X line offers AES-256 encryption for data that’s in transit and in the cloud. You can choose to encrypt data locally, and passphrases can be set on each protected machine. Automatic ransomware protection: Just like the ALTO 3, the SIRIS X series has built-in ransomware detection to alert you to the first signs of an infection. ALTO 3 vs X1: Which is right for you? If you’re comparing the ALTO 3 with the SIRIS 3 X1, there are a few things to consider. Virtual environment performance: If your business demands the fastest-possible access to your data after a disruptive event, then the X1 may be the way to go. The need for speed: The all-flash storage of the X1 is another attractive feature for businesses looking for greater performance and speed for backups, recoveries and virtual environments. Encrypting your data: For businesses that handle more sensitive data, the X series offers the added safeguard of end-to-end encryption (not currently available on the ALTO 3). Storage space: The ALTO 3 offers double the storage than the SIRIS X1 (2 TB vs. 1 TB all-flash), which is a helpful comparison to know. But if you prefer the features of the X1, keep in mind there are larger versions available with the X series (from 1 to 12 TB all-flash). Note: There are several other important considerations to make when selecting a BC/DR solution. We strongly recommend speaking to your managed-service provider, who can dive deeper into the specific needs of your organization. We’ve only scratched the surface of what makes Datto’s BDR systems a smart fit for small businesses. There are several features built into both the ALTO 3 and SIRIS X series that result in superior data protection. Inverse chain technology: Datto literally rewrote the rules on how backups are performed. Its patented Inverse Chain Technology uses image-based backups with fully constructed recovery points that aren’t dependent on previous snapshots. This fixes the most common problems in the backup chain and results in faster, more resilient backups (and quicker restores). Backups as frequent as every 5 minutes: Inverse chain technology is what makes a 5-minute backup frequency possible on Datto devices. 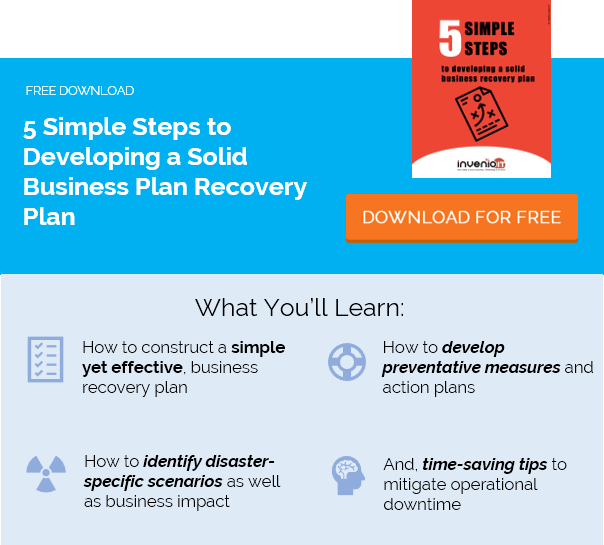 This enables businesses to set aggressive recovery time objectives and recovery point objectives, so they can minimize downtime after a disaster. Backup verification: The X1 and ALTO 3 both feature automatic screenshot verification. This is an automated validation of backup integrity (backups are test-boosted at regular intervals), so you know that your backups are recoverable. No more failed backups. No surprises. Want to take the ALTO 3 or SIRIS X1 for a spin? Request a free demo to get a closer look at Datto’s BDR systems for small businesses. Our business continuity experts are happy to go over your options in greater detail and answer your questions. Call us at (646) 395-1170 or email us at [email protected].